How would you describe your kitchen decor? Modern minimalist? Country rustic? Can I interest you in DIY retro childhood chic? If so, you might like to give making this Plastic Army Men Fruit Bowl a try. Recently, Mike Pinder shared his method for the project on Instructables. And the method to make a bowl out of the classic kids' toys and Toy Story movie co-stars is surprisingly straightforward. 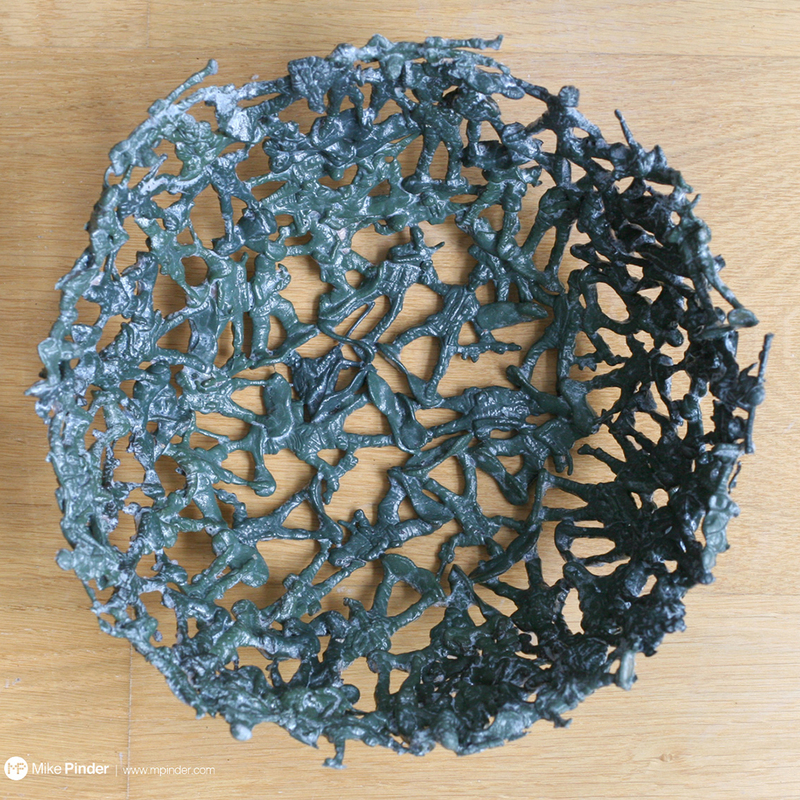 To get started, use the metal bowl as a guide for arranging your army men, base down, into a proper bowl shape. Then just use your heat gun to begin melting these poor army men together. Pinder notes that the men can be tough to melt properly, so make sure you don’t apply too much heat. Once you’re done, the only problem will be explaining to your kid why he doesn’t have any little green army men to play with anymore. But if he really wanted them, he shouldn’t always be on your iPad playing "Candy Crush." To see step-by-step instructions, head over here.